DW Drums - Andertons Music Co.
DW Drums are widely regarded as one of the best drum brands in the world and the quality of all of their kits and hardware is second to none. 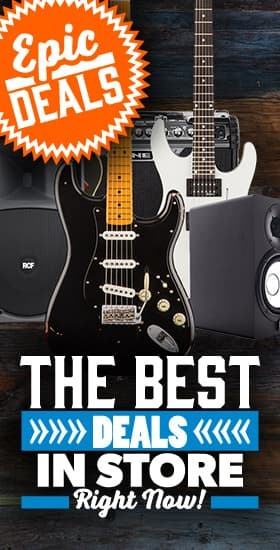 Pro users choose DW and we’re proud to stock them here at Andertons Music Co.
DW are one of those companies that doesn’t really need an introduction. You’ve seen them on countless stages around the world with a player roster and their boutique drums are the creme de la creme of the drum world due to their innovative designs, precision engineering and high-quality control standards. DW Drums (or Drum Workshop as they’re otherwise known) are based in Oxnard, California and this is where they produce their kits en-masse. DW also oversee a new company called ‘Pacific Drums and Percussion’ or PDP for short and are essentially the smaller brother to the DW brand. PDP produce kits with similar tonal textures but at a lower price point. DW themselves are at the top of the food chain when it comes to producing drum kits and hardware. They’re the professional choice and you’ll see these kits litter big stages all over the world. Whilst they’re renowned for their live sound, they have also got a distinct studio sound and many project studios will choose a DW kit for its absolute versatility across a number of different musical styles. 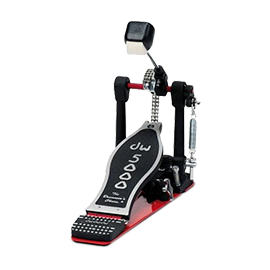 Drum Workshop was founded in 1972 as a teaching studio by Don Lombardi but in order to cover costs, he quickly advanced to selling other drum gear. This evolved into selling his own creation which was the height-adjustable trap seat. Though the beginnings were small, the company quickly grew into the juggernaut it is today. The DW artist roster is vast and unsurprisingly features some of the best drummers on the planet. 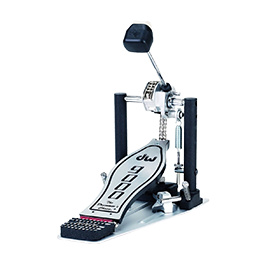 Famous DW users include the likes of Tony Royster JR (Jay-Z), Chad Smith (Red Hot Chili Peppers), Dave Grohl (Foo Fighters), Dominic Howard (Muse) and many, many more. All DW drums come with their a serial number and a code that you can use if you ever want to purchase more shells for your current kit. 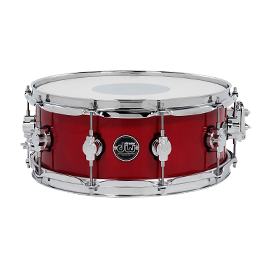 For example, if you bought a White Marine shell pack but want to add a 16″ tom in the same colour, then DW can work off of your serial number to ensure you get a matching tom for your kit. It makes your drumkit future-proof. The DW range is split into two sections which is their shell packs (or full kits) and drum hardware. The DW range includes the Performance range which is made for the pro musician after a workhorse drumkit that’ll get them a fantastic tone night after night on tour. These kits are punchy and generally made from North American Maple for bright, clear tones. We can also order any DW drumkit that you can think of thanks to their fantastic custom shop. If there’s a DW kit on your wishlist, contact us and we can make that dream become a reality. DW Hardware is probably the sturdiest drum hardware on the market. Most of the DW hardware range is split into the 5000 and 9000 series. The DW 5000 series offers affordable but high-quality hardware including drum thrones, kick pedals and cymbal stands. If you want to go one level up and purchase that one piece of hardware that’ll never fail then you’ll want the DW 9000 series. Intermediate and Pro drummers all swear by DW hardware and you’ll often find that even if drummers choose a different shell pack as their main drum sound, they’ll surround themselves with DW hardware – simply because it’s just so sturdy. If you have any questions about the DW kits that we stock, you can contact us via email info@andertons.co.uk or speak to our drum department on 01483 456777.